Round 3 - The Contenders; 2theLion BCS Championships. Any and all of the remaining candidates easily fit the moniker - Bestest, Cutest, Smartest Penn Stater. Go to the 4:00 minute mark - do it - it's awesome. Round 2 Voting Group II - 2theLion BCS! Round 2 - Group I Vote for your favorite Penn Staters as we make our way closer to crowning our BCS Champion!! The Penn Staters moving on to the 2nd Round..
Michael Mauti lived up to his #1 seeding. He'll face John Urschel, who upended Zach Mills. Norwood is Pro-Bowler, Navarro Bowman. Matt McGloin came out on top in a really close race against Matt Bahr. He's going to have to bring on the Moxie and more for his next match-up against Shane Conlan. Franco Harris might have some critics in the media, but he's still a hit with the BCS voters - he soars into the 2nd Round to face equally popular, Darryl Clark. John Cappalletti rushed into the next round (had har). By ONE, yes, ONE vote, Kyle Brady edged out Mike Reid to be Cappelletti's next opponent. In a little bit of an upset, Bryan Scott made it past Joy Paterno; he'll go up against Kenny Jackson in the 2nd Round. Jackson spun past Rosey by again, ONE VOTE! Sean Lee moves into the 2nd Round to face Evan Royster. Jack Ham scored over initial-mate Jordan Hill; he meets Todd Blackledge in the next round. 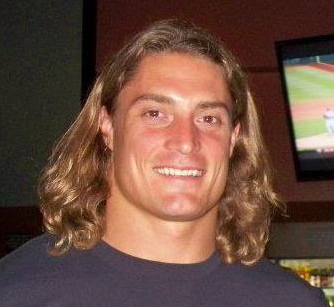 With really no surprise, Paul Posluszny storms into the 2nd Round. His next victim match-up? Scott Radecic. Apparently Mrs. Brown's pasta is even better, as Courtney upset Jimmy Cefalo. Curt Warner moves on with a convincing win. Derrick Williams edged out Leo Wisniewski to move on to the second round, where he'll face the artful Matthew Rice. Kerry Collins sails into the next round. Up next for Collins? Our esteemed coach, Bill O'Brien. Is it a case of age over beauty? Not sure, but Tom Bradley is moving on. Next up for Scrap? Deon Butler. It was a close contest, but Dan Connor outlasted Lenny Moore. KiJana Carter is sure to be similarly tough opponent. No suspense to this one, MRob cruises into the 2nd - we'll see next how he does against The Nittany Lion. 2theLion BCS Round One Final Group; Vote for (Duffy) your Favorite Lions! It's the final group! Take a look and make sure to vote (for Duffy). Joe Paterno told Robinson that he’d be a pro-bowl fullback one day... But Michael Robinson wanted to be a quarterback. Discipline issues early on led to some serious doghouse time, but, and perhaps because of this, Robinson emerged one of the greatest leaders in the history of the team. He played as back-up qb (& everything else) finally earning the starting job in 2005. The team was in the grasp of defeat, having registered 4 losing seasons out of the last 5 and his offense was stocked with young, untested freshmen (“the babies”). But Robinson refused to lose; metaphoric of his college career, he started the season a little shaky, but once into Big Ten play (that is, once into the 4th quarter of the Northwestern game), he lifted the team on his shoulders and led them to an 11 - 1 season. Oh, and last January, Robinson played in his first Pro-Bowl... as a fullback. What will Craig Fayak always be remembered for? One kick. One kick against notre dame at south bend. Oh, and that was a riot. The stand-out player of the early '90s, McDuffie excelled on offense and special teams, finishing with 3723 total all-purpose yards. Selected in the first round of the 1993 NFL draft, OJ continued the (apparent) tradition of Penn State receivers playing for Florida pro teams, playing for the Miami Dolphins for 8 seasons. Loyal and true. A legend, passed on from year to year; one that to which we pledge allegiance and always cherish dear. Of all the honored idols, it’s the one that stands the test. 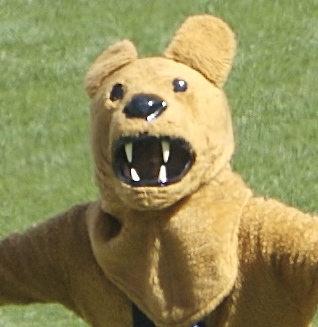 It is the Stately Nittany Lion and the symbol of our best. Cobbs red-shirted the year PSU won its first national championship (as did many of the men on its second). He was small, fast and solid. with an ability to read a play and execute for maximum impact. Without much fanfare, he and Ray Isom patrolled the secondary, pinpointing the angle of attack, and leaving opposing receivers with little more than the menacing echo of footsteps. Cobbs’ play in the National Championship game against Miami was, in a word, swarming - he defended, blitzed and “guessed right” all night. A Philadelphia kid who grew up with the Conlins (Keith, Chris, Kevin) and Craig Fitzgerald, Butler says that he always wanted to play at Penn State, but he was too small (& slow). He now has the opportunity coach for the Lions and is taking full advantage. PSU’s secondary was looking very thin and inexperienced; Butler took the challenge head-on and made the defensive backfield one of the most consistent and rounded parts of the team. His players say he’s intense, which is easily proven by watching him on the sidelines - an activity that isn’t hard on the eyes either. Sean Lee came to Penn State in 2005. He was one of the few Pennsylvania “stars” to come to Penn State that year, and he made a quick and lasting impression. Despite the fact that he was competing to get on the field with the likes of Posluszny and Connor, Lee saw playing time as a true freshman. A brilliant student, of finance and football, Lee’s dedication and talent made him the embodiment of the term “student athlete.” Following the great (recent) tradition of PSU linebackers and knee surgery, Lee was on the sideline for his “first” senior year - but he served as a player/coach/motivator extraordinaire. His great play on the field has translated to his pro career, as he plays for the dallas cowboys. McKenzie played on a line that helped create success for, arguably, PSU's less-than-best offensive offerings. Drafted by the Jets, McKenzie's greatest results came with the New York Giants; again, Kareem lifted, what you could call, a less-than-best offensive scheme, on his way to 2 Super Bowl rings. With free-agency looming, McKenzie announced this year that he plans to go back to school to earn an advanced degree in counseling - Yay! Penn State! Evan Royster developed from a thrilling young runner into a utility back for Penn State. He showed bursts of talent early on, and became the cornerstone of the Lions' offense his junior and senior seasons. He tallied 3932 yards rushing, and 4502 all-purpose yards at PSU before being drafted by the Washington Redskins. Bob White has worked in and around PSU pretty much solid since graduation. He's earned a bachelors and masters degree from PSU; he's coached; he's worked with alumni; and, he currently heads up the Nittany Lion Club's fundraising division. And, apart from the fact that he was a great football player and on 2 championship teams, he is also the a party in one of the most hallowed stories/legends from PSU Football's history. The story goes that White's academics weren't quite up to PSU's standards (how wide the gap will vary, depending on the story teller); White himself has said that before coming to PSU, he didn't think he'd ever read a book, the whole way through. So Coach Paterno set up a tutoring schedule for Bob with Sue; it was a sort of multi-generational pre-cursor to the *book club*. White would read the assigned book(s) and write a report that he and Sue would then review and discuss. White attributes this mentoring to his success, and he is clearly a shining example of the Penn State Way. Super Bowl Champion; Pro-Football Hall of Fame inductee; color commentator for the PSU Football. These are just a sample of the accomplishments of PSU linebacker, Jack Ham. Playing for 2 undefeated teams, Ham was at the very genesis of the Paterno Era. He played pro ball for the powerhouse Pittsburgh Steelers of the 1970s, where his hard-nosed attitude and pure talent made him one of the greatest to even line up on the defensive side of the ball. I'll admit, as a kid I was convinced that it was mandatory for Penn Staters to play for the Steelers, and that everyone on the Steelers was a Penn Stater. Flanked by his teammates, Jordan Hill is one of the 2012 seniors that will never be forgotten. His loyalty to the school, coupled with his amazing play, was a key element to PSU's 2012 success. Due to injuries on the teams, Hill played as freshman, and contributed immediately. His future is bright, and he can rest assured that Penn Staters all over the world will be rooting for him, no matter what his endeavors. The son of a coach, Blacklege led the Lions to their first championship following the 1982 season. As with most great teams, they showed glimpses early on, like reaching the #1 spot and thumping pitt in 1981, but the 1982 PSU squad was special - a grouping exceptionally talented, smart and resilient players, they bounced back from a painful loss at alabama to earn a spot in the Sugar Bowl, and Blackledge was their offensive leader. Now a respected commentator and sports journalist, he continues to engage and achieve at the highest levels. 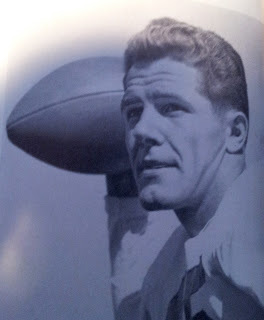 William Thomas *Mother* Dunn, was Penn State's first superstar player, and is it any surprise that he was a linebacker? Dunn was chosen to be an All American in 1906 by Walter Camp; it was the first time that the honor have been given to a non-ivy league player. An iconic symbol for Penn State football, Mother Dunn was the original BCS Lion! So - we're extending the time for voting for the first round of the 2theLion BCS Championship through December 26th! Because*: 1. holidays are distracting; 2. I've been delinquent in posting "match-up" descriptions; and, 3. there are not enough votes for Duffy Cobbs!!!! *mostly #2, but #3 a lot too. and make sure you post your own endorsements, so YOU can win too! Look at the picture. Is there any question why this old school linebacker is on the bracket? And what is more manly than perpetually having a bleeding wound on the bridge of your nose during football season? And let’s not forget that one of our contributors met him in person! An Academic All-American on a championship team, Radecic helped lead a defense of star athletes. Standing tall on the field, he and his teammates systematically dismantled the greatest that college football had to offer, defeating Marcus Allen in 1982 (Fiesta) and Hershel Walker in 1983 (Sugar). After football Radecic applied his Architectural Engineering degree to the sports business and tech industry, working for the stadium/arena/anywhere people congregate company, Populous. “Mrs. Cefalo, this pasta is better than Mrs. Cappalletti’s.” Said Jimmy Cefalo, on January 26, 2012, recalling Joe Paterno's skill at "recruiting mothers." Cefalo, from Pitson, PA, played wide receiver for Penn State, averaging nearly 20 yards (18.9) per pass play and over 1,800 career all-purpose yards. Cefalo’s playing career continued with the Miami Dolphins, where he served as a consistent asset to their offense. After retiring, Cefalo moved into sports broadcasting on both television and radio... and wine. 1999 All-American and 1st pick over-all in the 2000 NFL draft, Courtney Brown was a dominant force on the defensive line. Brown recorded 33 sacks and 70 T-F-Ls during his time with the Lions. After a promising rookie year in Cleveland, the balance of Brown's career was marred by injuries; despite reduced playing time, he still got in the backfield more than most. 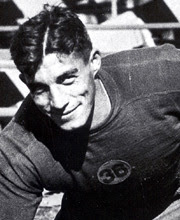 Warner was a premier running back and student-athlete. He combined strength, speed and smarts to make the most of every play. A huge part of the 1982 Championship team, Warner ran for 1041 yards that season, finishing with a career total 3398 rushing yards. Always a team player, Warner might have won a few more awards had he gone to another school, with a different offensive scheme; as it is, he was drafted #3 overall in the 1983 NFL draft (behind Elway & Dickerson). It is not rare to find intelligent, well-rounded young men playing football for Penn State, but Gerald Cadogan took this to a new level as a great student, athlete, musician and ambassador for the university. Sure he was a 2x Academic All-American, 3x Academic All-Big Ten and named to the All Big Ten offensive squad his senior year; but he was also awarded the Big Ten's Sportsmanship Award that season. A gifted musician, Cadogan plays multiple instruments and is an avid singer. He has released 2 gospel albums and sang the National Anthem for Barack Obama's visit to Penn State in 2008. A walk-on quarterback from Scranton, PA, Matt McGloin out moxied the scholarship players ahead of him to make his way, not only on the field, but into the starting line-up. During his senior season, McGloin metamorphasized into a poised and accurate passer, eclipsing any possible expectations that had been set - as well as a few records along the way. A 3x All-American for soccer and 1x for football, Chris Bahr is one of Penn State's all-time great kickers. Bahr was drafted by the Philadelphia Atoms (part of the North American Soccer League) after leaving Penn State. But, following a very successful rookie season, Bahr entered the NFL draft and signed with the Cincinnati Bengals in 1976). He is probably best known for his long career with the Oakland/Los Angeles Raiders, during which he won 2 Super Bowl rings. Bahr's father is long-time PSU Men's soccer coach, Walter Bahr, and his brother, Matt, is another great PSU (and Super Bowl winning) kicker. Think back to the 1987 Fiesta Bowl…you may have visions of DJ Dozier’s game winning touchdown dancing in your head. But how and who set him up for this? None other than Shane Conlan, who returned his second interception of the game 38 yards to the Miami 5 yard line setting up that game winning run. Without Shane we probably wouldn’t have won that game and the national championship. I will personally never forget watching the 2009 Combine and hearing them talk about the short arms of AQ. Up until then I never noticed this because he was an awesome center who delivered the ball consistently to his quarterback and then threw a couple blocks. He played on both the offensive and defensive lines during his time at Penn State and was a natural born leader of the team. Little known fact about AQ is that as part of the combine he took (as do all prospects) the Wonderlic Test (used to measure math, vocabulary, and reasoning and scored an impressive 40, while the average for prospects is 20 (average intelligence). Likely the most famous Penn Stater in Pennsylvania, Harris was a great college player. He was, however, often referred to as the blocking back for the (then) record-breaking Lydel Mitchell. Franco’s brilliance disapated any lingering shadow during his professional career with the Pittsburgh Steelers. A vital part of many of their Super Bowl teams, Franco’s 1972 “Immaculate Reception” is still touted as the greatest play in the history of the game. A 3 year letter winner, Golden was a leader among his teammates and served as captain his senior year; on the field he played a big part in one of Penn State’s biggest wins of his tenure, defeating (then) #1 Notre Dame in South Bend in 1990. After graduation he moved into coaching, spending time at UVA, BC and Penn State, before he returned to UVA to serve as their Defensive Coordinator. Golden got his first head coaching job at Temple, when he took over a program ravaged by academic and performance problems. His work at Temple brought the program back from the brink of closure into a bowl eligible team. In 2011 he took the head coach job at Miami. Darryl’s uniqueness spanned from his ability to relate with and learn from his elders, to his patient ambition, to his mobile classic quarterback mechanics. Waiting for his turn to be the first off the bus, Clark led his 2008 team to a Big Ten Championship and a ticket to the Rose Bowl. His enthusiasm for the sport, his team and his coach was infectious. Donning a pretty great number, Keith Goganious continued the storied tradition of the Penn State Linebacker during his time at Penn State. A three sport star at Green Run High School in Virginia Beach, VA, Goganious was drafted in the 3rd round of the 1992 NFL draft and played in the pros for 5 years. He is now the Defensive Coordinator for Hampton University, fielding a consistently dominant FCS defensive squad. I'll have a Whiteout Offseason that's Certain; 2theLion BCS Prizes!!! It's the time of year (when I watch football on the DVR) for giving and receiving - so, naturally, it's time of another contest! We're (so slowly) posting our support for the players, and we'd like to hear what you have to say about your favorite Penn Staters! Just post an endorsement here in the comments, or tweet it for all to see, using the hashtag #2theLionBCS! Post as many comments/Tweets as many tweetles as you wish - each endorsement equals one entry into the pool! - Only positive endorsements will count as entries - NO SMEAR CAMPAIGN! - To participate via the blog, post your endorsement in the comments. - You may enter as many times as you like. - Offensive comments will be deleted and will not be considered as entries in this contest. - Offensive Tweets will be ignored and will not be considered as entries in this contest. - We have to be able to contact you if you win, so either register with Blogger, or email your contact info to PSUgirl at 2thelion dot com. - Winners will be determined by random selection; although multiple entries are permitted, only one prize will be awarded per participant. - By posting a comment, you agree that we may reproduce any or all of the comment; additionally, you agree that we may post (and re-post) any part or all of your submission, including your name/username as a part of the contest announcement and/or promotions (this does not include any personal information such as addresses, emails and/or personal links). - Prizes will only be shipped within the US (sorry America's Hat); and we are not responsible for any loss or damage during shipping/delivery. - Decisions regarding eligibility, timing, shipping and WINNING are ours to make and are final. Just Keep Voting; The 2theLion BCS Championships - Round One! For Group A: Vote Here! And I have to ask, how is it that a mug like this has no votes? For Group B: Vote Here! For Group C: Vote Here! For Group D: Vote Here! Have you been voting? Having some trouble making your picks? Maybe this will help you make some choices for our Group B match-ups. Remember to vote! A little less renown is, , Todd Kulka. Kulka followed a pretty natural formula of football legacy, State High grad & post-grad job with the team - He was named Coordinator of Football Academic Support Services. Mike Reid was a standout on a team of stars and his play was the stuff of legends. My father used to tell stories of Reid’s dominance, and I think he sometimes must have borrowed some tales from Paul Bunyan and Hercules. Reid enjoyed great success in his football career, but his true calling was music. A composer and musician, Reid has collected as many awards in his music career as he did in football, writing 12 number one country hits and 7 musicals, winning a Grammy, and being named to the Nashville Songwriters Hall of Fame. 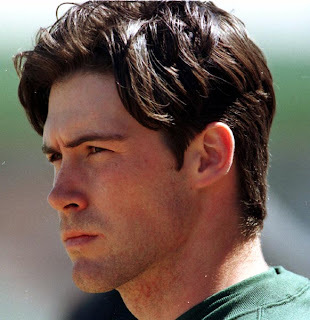 All great players are called “clutch” at some point in their career - but with Kyle Brady, it was a weekly occurrence. Brady’s size, smarts and strength (hands) made him a favorite of quarterback, Kerry Collins, and a habitual “stick mover” during the 1994 season. A consensus All-American in 1994, Brady was drafted by the New York Jets in the first round (9th) of the 1995 NFL draft. He enjoyed a long, and productive career in the NFL, retiring in 2008. Flash back before November 2011 and I would not have been accused of being a fan of Jay. I complained about his over coaching of quarterbacks and the nepotism of his having his job. Then something changed. He stood up for Penn State when others left us. He spoke about the good that has been at our University when it wasn’t socially acceptable – let alone popular. Do I think he was the greatest quarterback coach ever – nope. Do I think he has spoken for us when we weren’t ready to – yes. And for that he’s earned a spot on our bracket. Bryan was a stand out defensive player for the Nittany Lions from 1999-2003 racking up 202 tackles and five interceptions. While his feats on the field are impressive, he is also a talented musician, signing and playing the piano, drums, and saxophone. In fact, he has founded his own foundation, Pick your Passion Foundation for the Arts, which funds field trips to music and art venues around Buffalo. It is his charity work that has made him the 2012 Bills nominee for the Walter Payton Man of the Year. In full disclosure, Kenny Jackson was my first favorite, favorite football player. He was everything you wanted in a favorite player, talented, speedy and a winning smile. While his most remembered play was probably made during his sophomore season game against Dan Marino and the #1 pitt panthers, he was a pivotal part of the 1982 National Championship winning offense and named All-American in both 1982 and 1983. 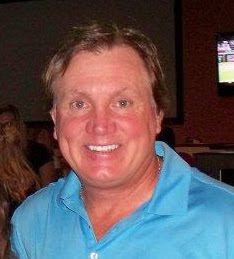 Kenny returned to the team to coach receivers from 1993 - 2000, where he guided the likes of Bobby Engram and Joe Jurevicius. 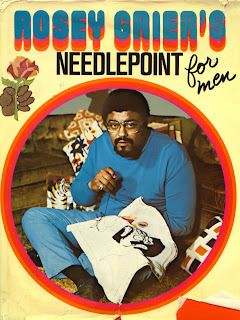 Rosie Grier was a great football player who became a cultural icon. A 4 year starter for Coach Engle, Grier was also a standout athlete for the track team, winning All American honors for shot put in 1954 & 1955. Rosie’s talents extended beyond the playing field to the worlds of film, music, prayer and fiber arts. Also a political enthusiast, Rosie was a staunch supporter of Senator Robert F Kennedy’s 1968 bid for the Democratic nomination; and is notoriously known as the man who disabled Sirhan Sirhan by breaking his arm. The son of a Penn State great, Michael Zordich was recruited as linebacker out of the storied Cardinal Mooney High School in Youngstown, OH. Michael, the younger, had some serious discipline lapses early on - and spent a great deal of time in the proverbial doghouse. Eventually switching to fullback, Zordich matured into a tenacious and yet ferocious aspect of the Lions’ offense. Far and beyond that, Zordich matured into a true leader of the Penn State team, as evidenced by how he rallied his fellow players in the wake of July 2012, and served as the unofficial spokesperson for the team, school and an entire fandom. 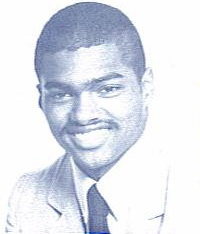 Tom “Scrap” Bradley is the penultimate Penn Stater. 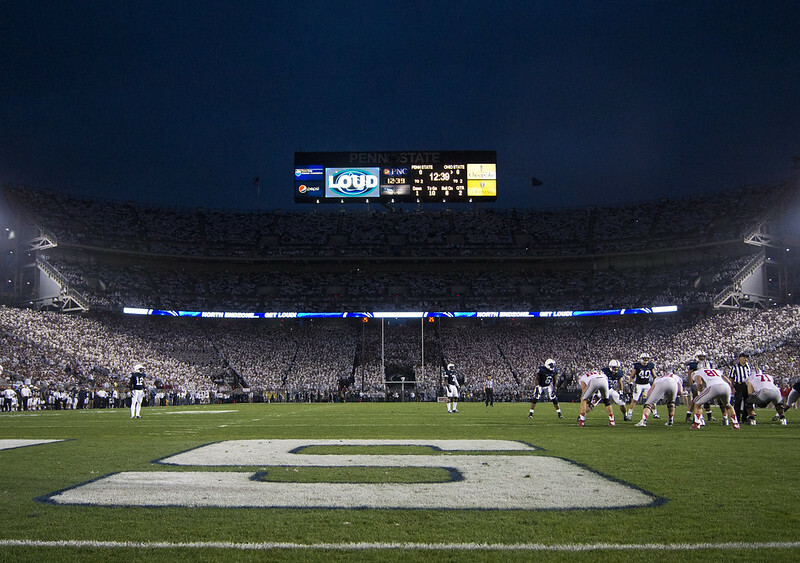 A player, a coach, a fan for the team, his enthusiasm for Penn State was a hallmark of the team for over 30 years. Bradley joined the team as an undersized d-back that worked harder than anyone and “scrapped” on every play; he left Penn State known for his oversized loyalty, drive and heart. Deon Butler joined the team as a walk-on defensive back - but quickly moved to the offensive side of the ball for his freshman (eligibility) season, to join the corps of young receivers that reignited the Penn State team in 2005 and the program in general. Butler became a clutch receiver, prompting some (who will remain nameless) in the stands to continuously shout “throw the ball to Butler! !” He grew to be a key part of the offensive, on the field, in the end zone and in the locker room. A 4 year kicker, Conway missed only one PAT his entire career (141 out of 142), and kicking 191 of them in a row; adding in his 45 field goals, he scored a total 276 points for the Lions. Interestingly, his one PAT miss came in 1994 - when he scored 62 of that impressive total of points - as much a testament to that amazing offense as is the fact that he only had 12 field goal attempts that season (made 10). Conway was picked by the Green Bay Packers in the 3rd round of the 1997 NFL draft (pretty darn respectable for a kicker), he would spend time with 6 more professional teams (including a season in the CFL) before retiring after 2005. Connor was expected to seamlessly extend the long line of extraordinary linebackers - and he eventually did - after a couple off-field stumbles (Hello? Do you have Jay Paterno in a can?). Connor possessed a linebacker 6th sense - seeming to know where the play was going to develop before the offense even lined-up. A 2 time All-American, Connor did extend the tradition of PSU’s defensive dominance by winning the 2007 Bednarik Award (PSU’s 3rd in a row). Connor was drafted in the 3rd Round of the 2008 NFL draft and currently plays for the Dallas Cowboys. Lenny. Lenny. Moore. Moore. Moore! A true Penn State legend, Moore played halfback for the Lions. He was drafted by the Baltimore Colts in the first round of the 1956 NFL draft, going All-Pro and winning Rookie of the Year honors in his debut season. In 1975 he was elected to the Pro Football Hall of Fame. Cue the Eagles tune ‘Desperado’ and sing along with me… “Gasparato, why don’t you come to your senses…break through those defenses and score some points…’ If you sat near me during the 2004 season you heard me sing that more than once. And it is for Mike that I proudly wear number 32. It's the final group of our Round One match-ups. There are some devastatingly difficult choices here - but we know you can do it! Voting, as for all Groups, is open through December 22nd. 2theLion BSC Round One Group C Voting! The first round continues with voting for match-ups from the Nittany and Penn Regions - a lot of great pairings in this group! 2theLion BCS Group B Voting!! Today's match-ups hail from the State and Lions Divisions! Michael Mauti came to Penn State as a legacy linebacker from Louisiana; he is leaving Penn State as nothing less than a legend. His brother, Patrick (WR 05-09) was already on the squad, and their father, Rich, lettered for the Lions in 1975 & 76. When he looks back on his PSU career, I hope that he is able to focus on the sheer brilliance of his play, character and influence - He has faced more than his share of adversity with injuries and major off-the-field distractions and come through it all as a leader for his teammates, fellow students, and Penn Staters as a whole. Someone, unfortunately has to go up against the Roger Federers, LA Lakers and Secretariats of history, and so is the case for Eric Cole. As an offensive lineman for PSU, Cole played at various positions on the line, starting as center (JR) and Guard (SR). He can be spotted commenting on the occasional blog post and continues to be a great Penn Stater. John Urschel is possibly the smartest person to don the blue and white - having completed his undergraduate degree in mathematics, in just 3 years, while maintaining a 4.0 GPA. On the field, he has been a major contributor to an O-line that has, for the last 2 seasons, improved in both run blocking, as well as being a pivotal to the development of PSU pass game. Zack Mills enjoyed only one winning season (shut up) during his career, but boy were there some exciting games. Regardless of asterisks and italics, Mills led the Lions in some of the teams most memorable games, included the 40 - 7 trouncing of Nebraska and the amazing comeback win against Ohio State that secured Coach Joe Paterno’s 324th career win. Despite being plagued by injuries, Mills amassed numerous PSU passing records. Jordan Norwood was/is one of the “babies” the fleet of freshmen who took the field for PSU in 2005. Their contribution to the team, and the program, was key Penn State’s success going forward. Norwood was quietly a cornerstone of the offense. He ability to get open and complete plays sustained many a drive. Pittman is another player in the grand tradition of legacy players at Penn State. His father, Charlie, was an All-American running back on the undefeated PSU teams of 1968 & 1969. Tony played cornerback for the Lions, and helped lead the defense during a time when, uncharacteristically, PSU was known more for its offense. 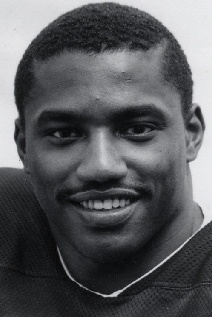 Pittman led the team in interceptions in 1993 and was a key contributor to the 1994 undefeated team. Tony was also a star in the classroom, earning Academic All American honors. A businessman, writer and Tweeter (@tonypittman), he is a testament to the Penn State Way. Graham Zug joined the Lions as walk-on receiver, winning a scholarship just before his JR/SO season. Following in the shadow of the record setting receivers of the mid-aughts, Zug evolved into one of the most productive receivers in team history. After a slightly shaky (or punchy-punch) start to his PSU career, Bowman settled into being one of the most productive and feared players on the PSU defense. He and has extended his talents to becoming one of the best inside linebackers in the NFL. Currently playing for the San Francisco 49ers, Bowman voted first team All-Pro in just his 2nd season. Leo is the brother of Steve and the father of Stefen. A successful defensive lineman for the Lions, he extended his career into the NFL. Leo has also been a unique voice for fans and former players, most recently posting an article, summing up the 2012 season and what those who left may have missed. It was because of this reflection that Leo made our list. Matt Rice was a standout on the Penn State line, and the team artist as well, having painted the 2005 PSU football poster. After Penn State, Rice spent time in the NFL and NFL Europe before, in 2007, he was diagnosed with a brain tumor. Surgery successfully removed the benign tumor, and it has, quite wonderfully, enhanced and fused his two favorite things, art & sport. He has gone on to open his own art company, Mateo Blu, and has created many fantastic Penn State themed works of art. You can check out some of his work by following him on Twitter (@mateoblu). Harry Wilson, Halfback (1921 - 1923) Wilson actually ended his football career as a cadet at Army, but that wasn’t before he was named an All-American and was a prolific scorer for the Nittany Lions. After football, Wilson entered the Army as a commissioned officer, where he earned numerous honors throughout his service in the Army Air Corps. WIlson was posthumously recognized for his college football accomplishments in 1973 when he as elected to the College Football Hall of Fame. How does one sum up Kerry Collins and what he meant/means to Penn State? He has been one of the most notorious and written about Lions since even before he stepped onto campus. His early career was met with some set backs (you know, silly “volleyball”) and fans clamoring for him to get into the game; once planted into the offense, they were not disappointed, as he led one of the most productive and dazzling teams in PSU history. The 1994 team sailed, stunned and scrapped to score Paterno his 5th undefeated season as head coach (and 4th uncrowned); Collins was great, no doubt, pummeling many a proud program (and yes, by that I mean, tosu), but imo, his most impressive win was against MSU, when he & the team proved their substance, overcoming a substantial deficit as well as their own errors. Mike Michalske is one of the 5 Penn Staters in the Pro Football Hall of Fame. An All-American back at PSU, Michalske switched to Guard in the pros. He was named first team All-Pro 6 seasons. Bill O’Brien or O’bie (is preferred nickname), was named Penn State head coach in January, 2012. Less than a year later he had already skippered the team through one of the most emotional, scrutinized and successful seasons in the school’s, and perhaps the sport’s, history. O’brien came to PSU via the New England Patriots, where he served as Offensive Coordinator. His future as a Penn State football coach is yet to be written, but he is certainly off to an interesting start. Before anyone ever heard of the “Lavar Leap” their was another Lion that was familiar with “the air up there.” Blair Thomas’ ability to dive over the line, with both height and distance, prompted the creation of the term “Blairborn.” A member of the 1986 Championship team, the freshman Thomas, as a back-up for PSU great, DJ Dozier, entertained PSU fans with his zigs & zags (and sheer speed), prompting some to opine that perhaps the Lions’ moniker should be changed to “Running Back U.” Thomas’ dominance continued throughout his career, earning the All-American honor in 1989, on his way to a career total 3,301 yards. 2theLion BCS! Group A Voting. Okay Friends - we are ready to start the Round One voting!!! Group A features match-ups from the PENN and NITTANY Regions. Voting for Group A will be open through December 22nd.